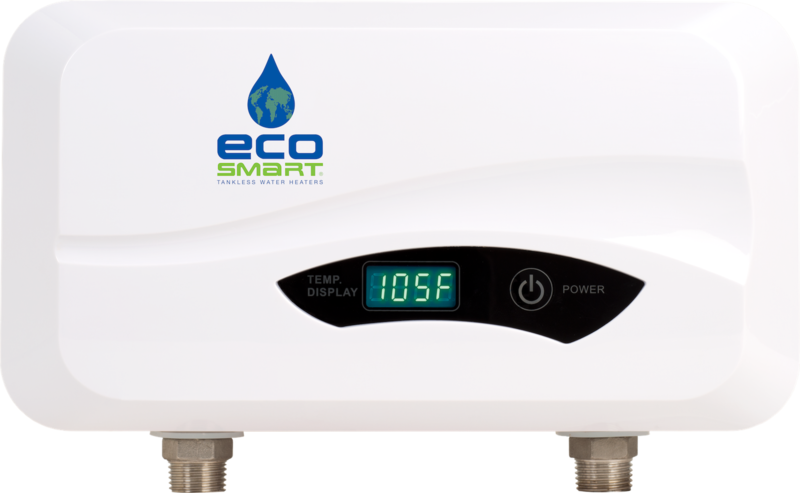 POU 4T is a 3.5kW, thermostatic point-of-use electric tankless water which means it includes EcoSmart self-modulating technology so it will only consume the energy necessary for the demand. POU 6T is a 6.5kW, thermostatic point-of-use electric tankless water which means it includes EcoSmart self-modulating technology so it will only consume the energy necessary for the demand. 36 kW electric tankless water heater ideal for a large single family home with a busy family with multiple applications running simultaneously.